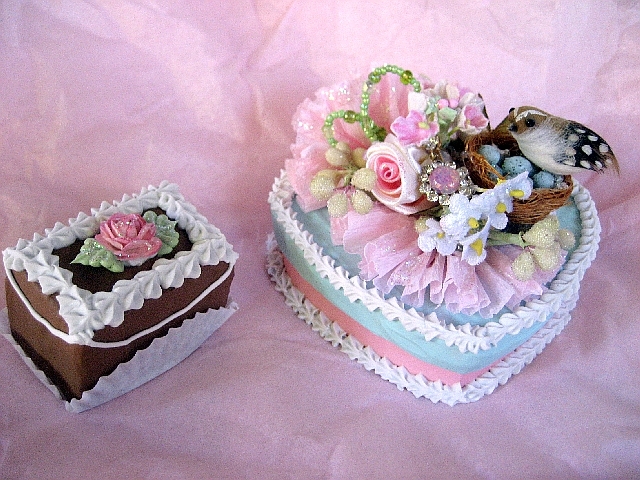 I picked up this yummy little box on eBay from Pink Rose Pastries. I am a sucker for little birds in nests! Someone on my christmas list will be the lucky recipient. Look at the little petit four that was included with my purchase. I got the package of hand dyed ribbon too. Such pretty colors. So pretty. You find the best stuff…what an eye! 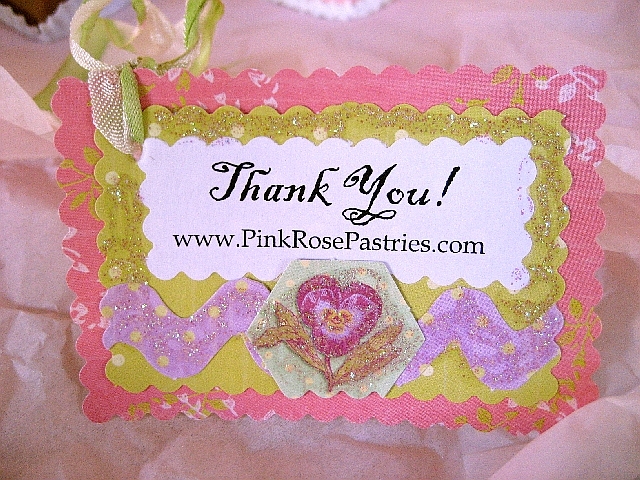 Pretty ribbon and card, too. Those ribbons look hand dyed? so pretty. I love the nesting birds, an easy thing to be a sucker for! 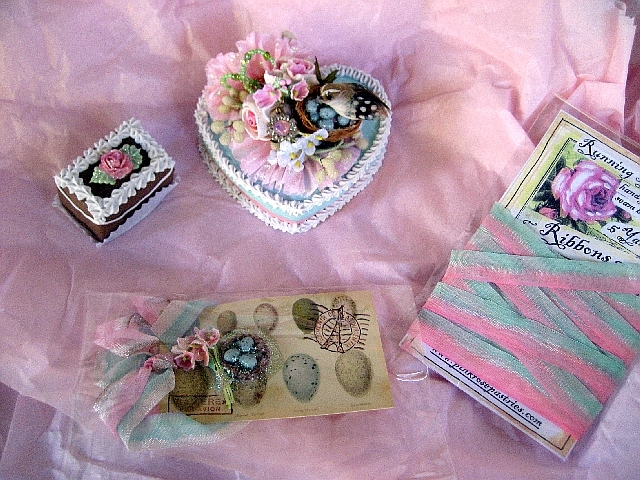 the business card is just as pretty as the goodies!